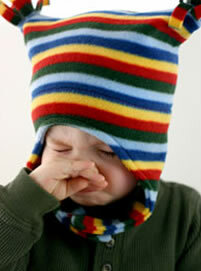 • Weather can affect your child’s asthma. • Keeping an asthma diary can help you and your child’s doctor identify any triggers. • You can help reduce your child’s asthma attacks by avoiding triggers. Whether it is wind, rain or sun, it isn’t uncommon for weather conditions to cause problems for people with asthma. In fact, numerous studies have shown increases in asthma-related ER visits during certain weather conditions. Asthma suffers seem to struggle the most with the following weather conditions. • Severe storms and wind can stir up pollen and mold. • Heat and humidity promotes the growth of mold spores. • Heat and pollutants can create ground-level ozone. • Cold, dry air can cause problems for people who participate in winter sports. If you suspect that the weather may be triggering your child’s asthma attacks, keep a diary of when your child’s asthma symptoms occur and which weather conditions are present. Your pediatrician will be able to use the diary to identify any triggers. If your child’s asthma symptoms are tied to certain weather conditions, the following steps should help reduce asthma attacks. • Limit time outdoors on problem days and keep the windows closed. • Have your child wear a scarf over his or her mouth on very cold days. • Stay inside in the morning when the pollen count is highest. • Keep your child away from freshly mown grass or piles of leaves. • Don’t hang your clothes out to dry where mold or pollen can collect on them. • Always have rescue medication readily available. In addition, it is a good idea to include any weather triggers on your child’s asthma action plan. If you think your child’s asthma appears to be allergy related, arrange to see an allergist.